Memorial Day marks the beginning of days full of swimming, watermelon, and… cookouts! Instead of grilling the same ol’ things this summer, why don’t you try something new and fresh? Something like our BLT Turkey Burger. I think it’s the Chipotle Mayonnaise that completes this burger, with just the right amount of sweet spicy tang. It could be the bacon but, then again, I can’t resist a burger with avacado. With all of these delicious pieces put together, this burger really is a dream come true! 1. Prepare turkey burgers according to package directions for broiling or on pre-heated grill. 2. When burgers are cooked, top each with 1 slice cheese. Broil 1 minute or until cheese is melted. 3. Spread 1-1/2 teaspoons Chipotle Sauce on cut sides of each roll. Layer each bottom half with 1/4 cup shredded lettuce, 1 slice onion and 1 slice tomato. 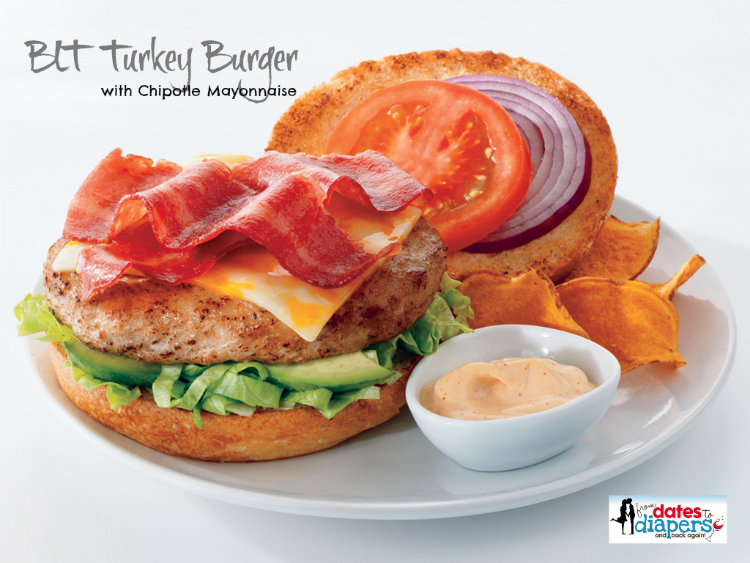 Top each with cheese-topped burger, 2 slices avocado and 2 turkey bacon pieces. Cover each with top of roll. 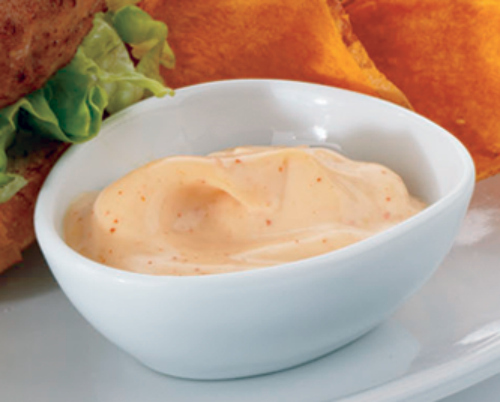 Combine all ingredients – mayonnaise, honey, chipotle pepper sauce and cilantro – and mix well. Refrigerate until ready to use. I hope you try this tasty new burger option for your Memorial Day cookout! I did change it up a bit, but found the original recipe on the Butterball app (available for iPhone and Android.) I’d love to hear what you think and if you put your own twist on it. Disclosure: I have been compensated for the publication of this post. All thoughts and opinions are mine, unless otherwise noted.